Providing you the best range of printed laminated film rolls and polyethylene packaging film roll with effective & timely delivery. With an aim to stand tall on the expectations of our esteemed clients, we are providing Printed Laminated Film Rolls that provide protection to the items against spillage. Offered printed films are provided in numerous sizes as per the market needs. These printed films are used for bulk packs that include packing bulk chemicals. Additionally, the entire range of printed films is checked upon a series of parameters for supplying a flawless range. Owing to our expertise in this field, we are engaged in offering Polyethylene Packaging Film Roll. 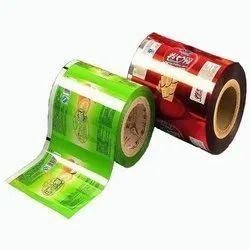 Our offered poly films are used for safe and long lasting packaging. These poly films can also be customized sizes by our workforce as per the market need. Offered poly films are manufactured by using quality approved material and advanced techniques.